Visit SoccerCityUsa.com for more details. I wish I was in Portland, I’d totally be there!!! Take some pictures for us! I’m out of the country or I’d be there. 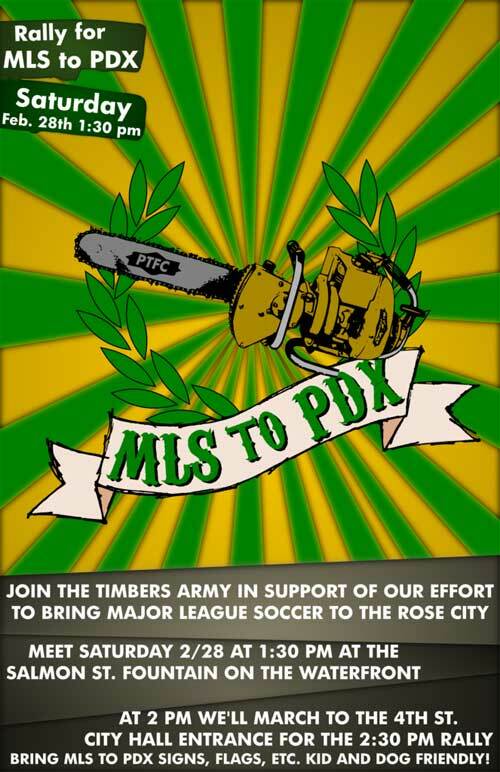 Go, Timbers! I’ll be there with the camera. Hopefully it won’t rain on us. Having listened to the public testimony this week, might I suggest a coalition sign? We’ll be coming, we’ll be coming, we’ll be coming down the road….